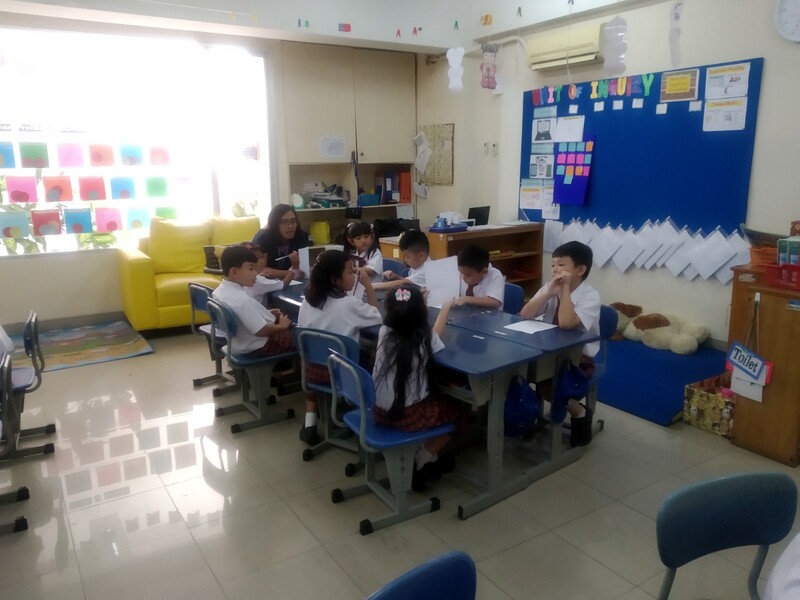 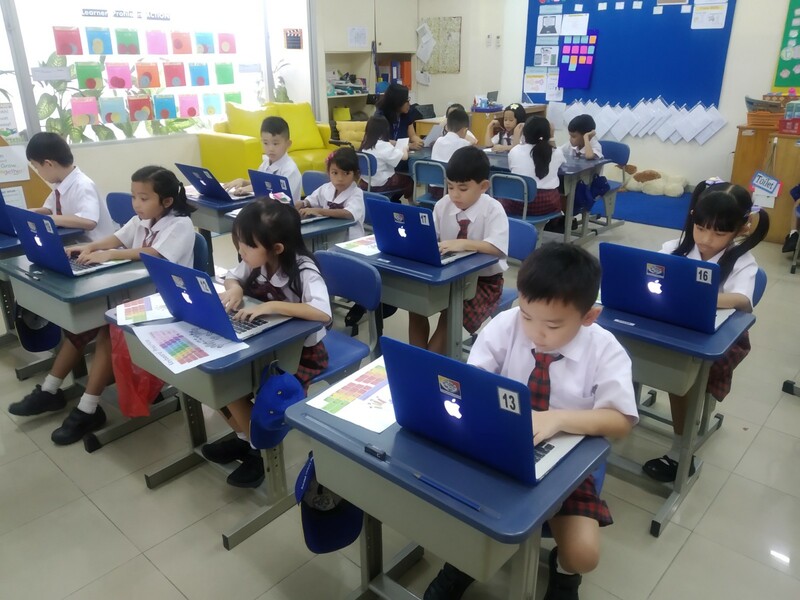 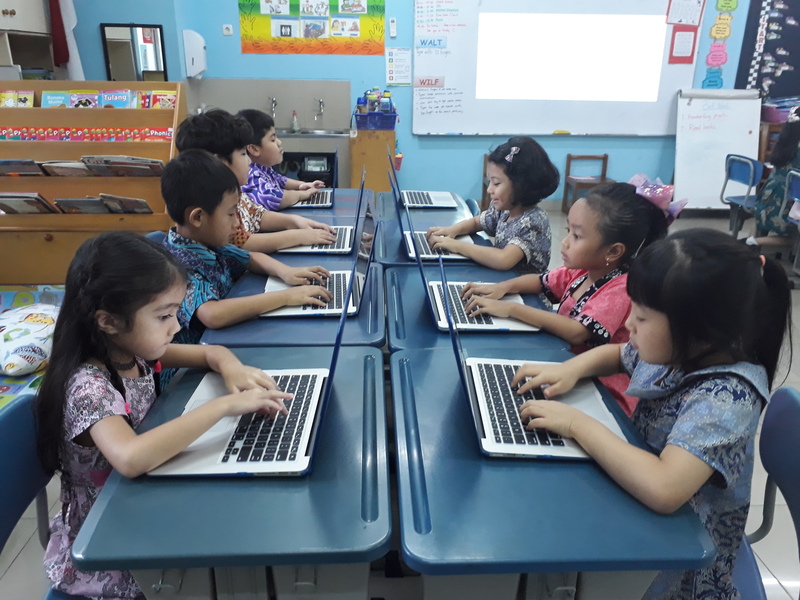 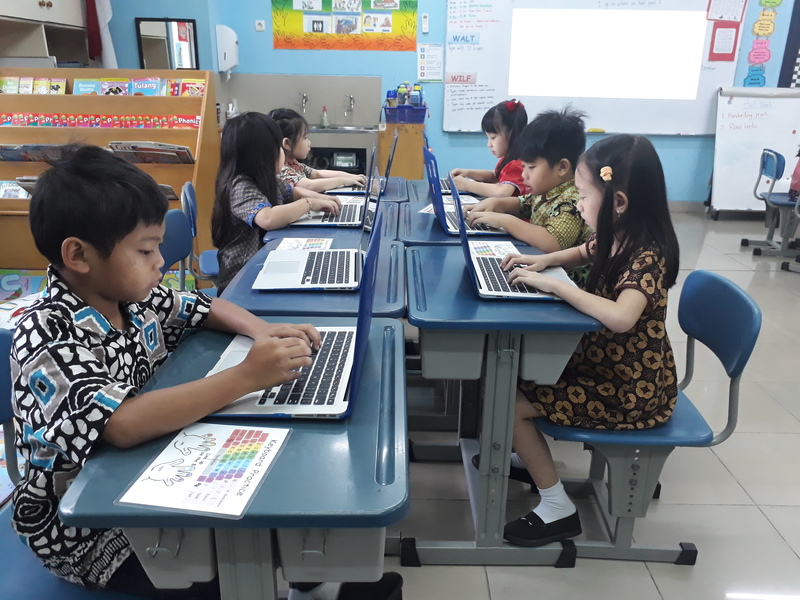 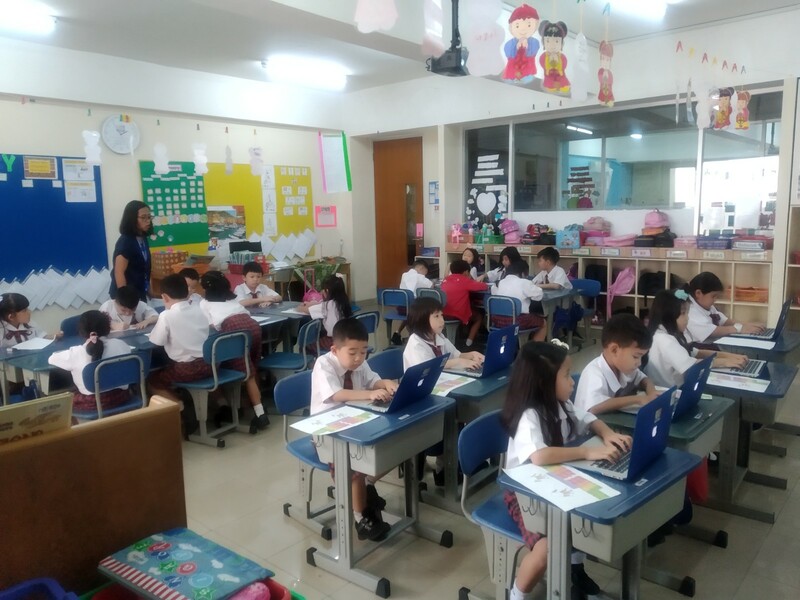 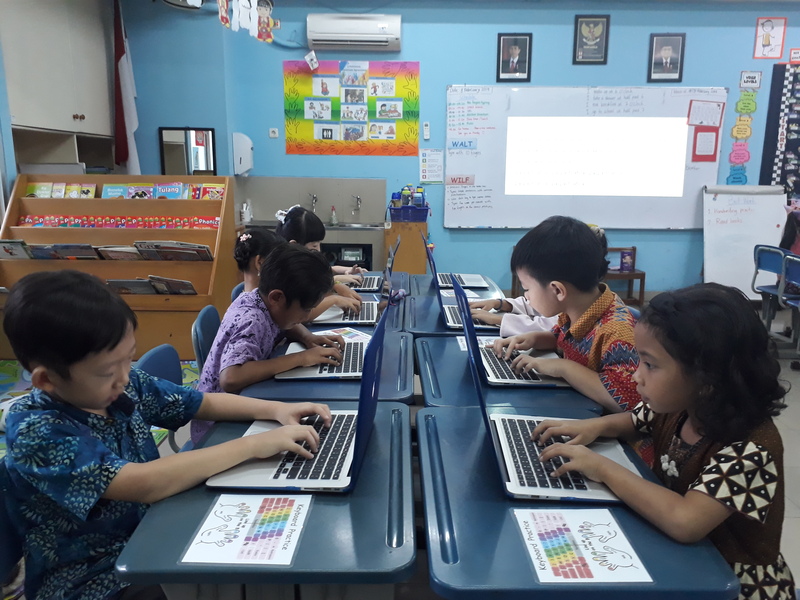 Last week, the students of Grade 1 learned how to type words and sentences using ten fingers. 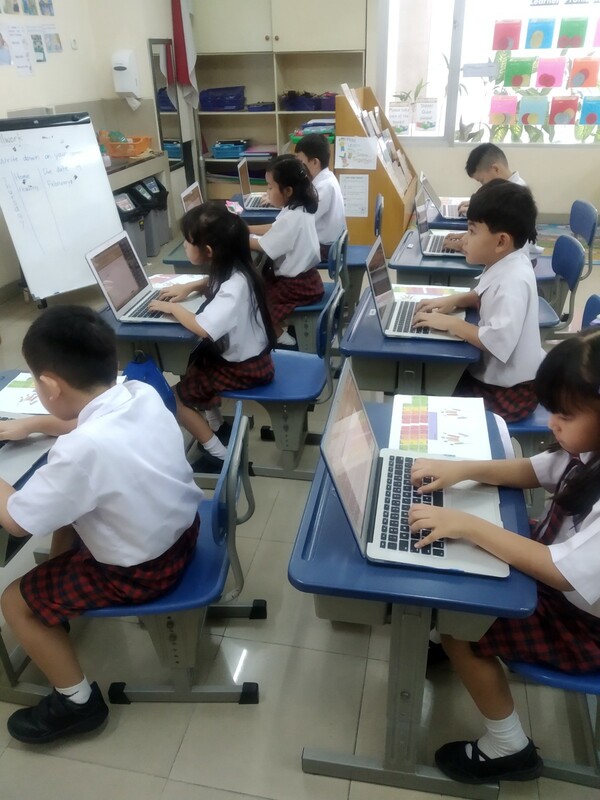 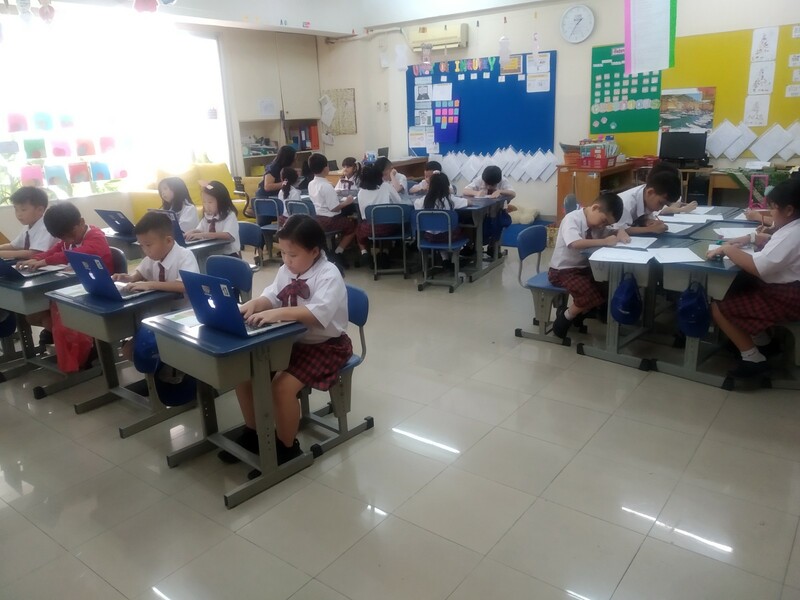 Using the school laptop, they use Ms. Word to practice their ten fingers typing skill. 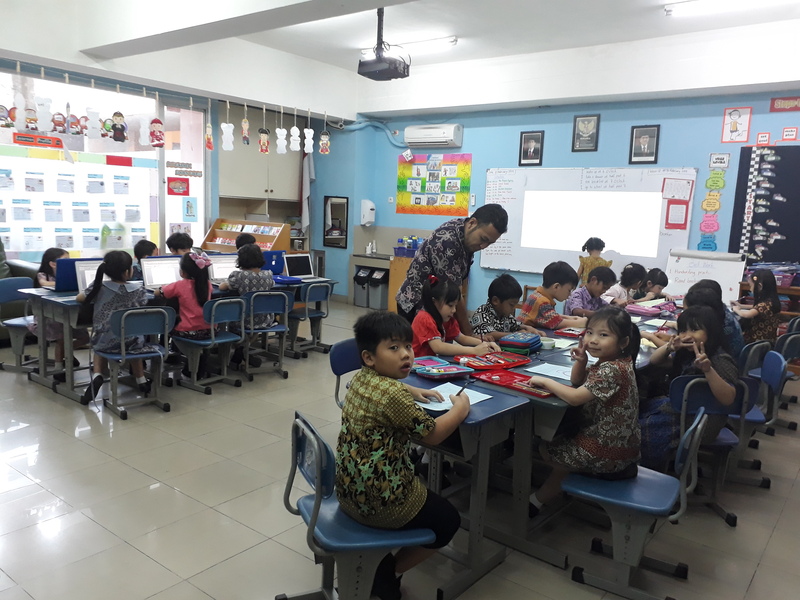 We apply differentiated learning for this learning to collaborate with another subject, BSI. 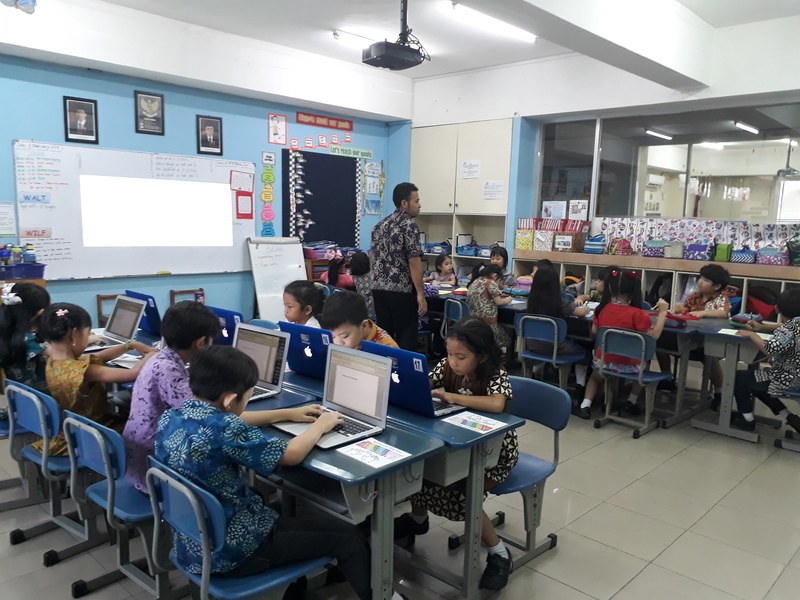 We divide them into two groups, one group did their ten fingers typing and another group prepared to create their poetry by answering guided questions that the teachers provided.